War has come, engulfing the galaxy in a long and bitter conflict. Will you be the one to guide your civilization to complete victory? In Pocket Imperium, you are the leader of one of four different spacefaring races. 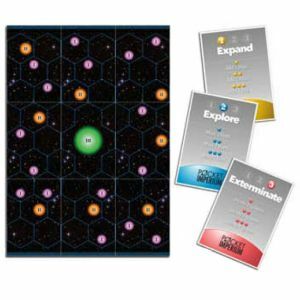 You will have to compete against the other races to explore the galaxy to find resources, expand your fleet with newer, stronger, and faster ships, and ultimately conquer your foes by engaging in open warfare. But the other leaders will work against you, claiming planets for themselves as they ready to topple your empire and claim your space for themselves. Will you form an alliance with a "trusted" ally, or will you stand alone and challenge all comers? The fate of the galaxy rests in your hands! 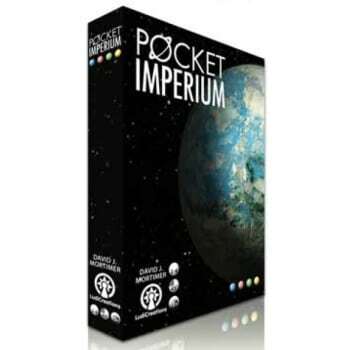 Pocket Imperium is a 4X microgame, where each phase of the game is, in itself, a game. This allows for games to go very quickly, though obviously players who can avoid extermination will last even longer.